This entry was posted in Uncategorized and tagged analog, hardware on Nov-2016 by bilbowen. 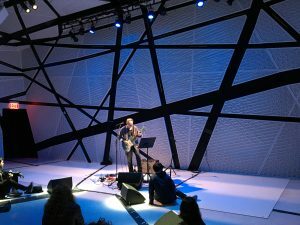 Developed in collaboration with Arto Lindsay with recent performances in Marfa, Texas and Brooklyn, New York, this distributed multichannel soundsystem takes live instrument input signals and process them through Ableton/MaxMSP and output through 12 discrete channels for polyrhythmic distribution of sounds in time and space. 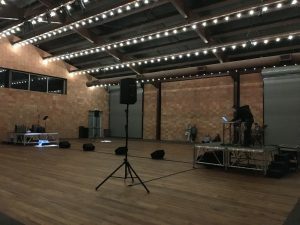 This entry was posted in Uncategorized and tagged ableton, max-msp, microphone, percussion, software on Oct-2016 by bilbowen. Design and programming of hard/firm/software for networked control, sensing, and sequencing of pneumatic sculptures by Chico MacMurtrie at the Muffathalle in Munich. 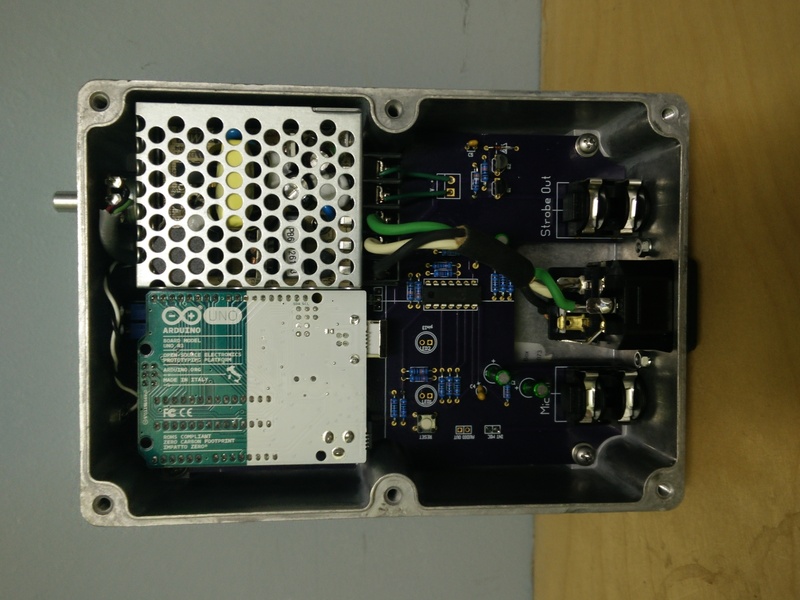 Each piece has its own Raspberry Pi which handles network communication and runs local control algorithms via an Arduino MEGA with specially designed PCB shields operating the valves and reading the sensors. Puredata is used to translate UDP network data to/from standard MIDI for master sequencing in Ableton Live through each piece’s custom Max For Live device. 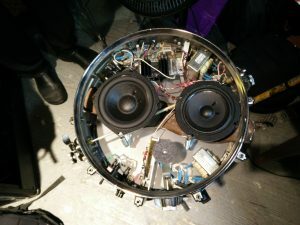 This entry was posted in Uncategorized and tagged ableton, arduino, C, firmware, max-msp, pcb, puredata, raspberryPi, robotics, sculpture, software on Aug-2016 by bilbowen. 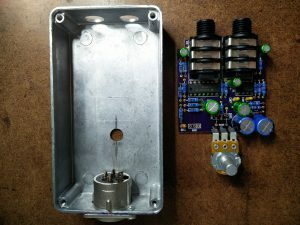 Electrical design, firmware and PCB breakout board for PID arduino control of the 24V actuators that move the panels behind the kinetic wall. This entry was posted in Uncategorized and tagged arduino, firmware, hardware, robotics on Jun-2016 by bilbowen. 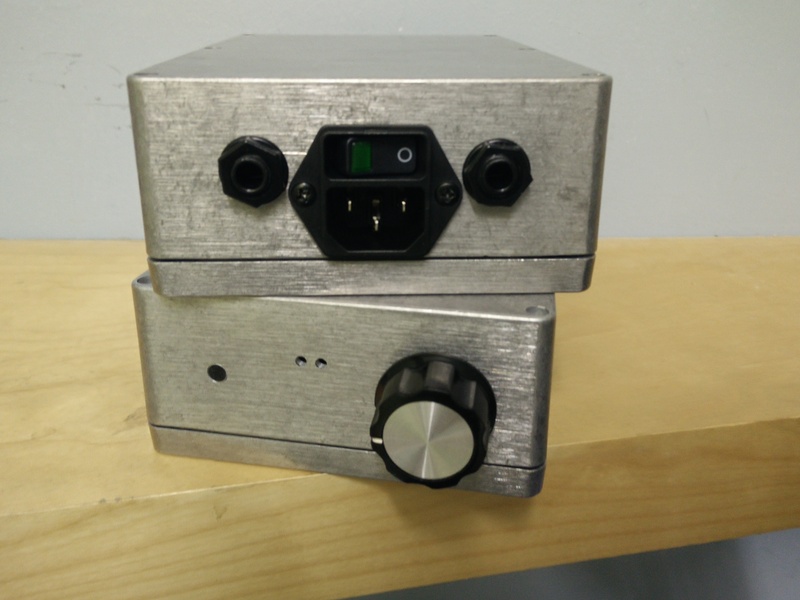 Developed and built for the Tsai Art and Science Foundation, this ACU is an updated version of Tsai’s original design which takes audio input from a microphone and translates it into a control voltage that precisely modulates the frequency of a strobe light synchronized to the RPM of the motor driving a kinetic sculptures. 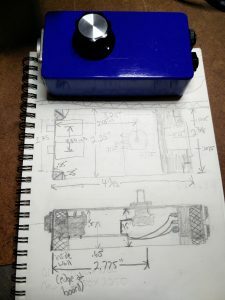 After analyzing the original analog CMOS circuits, I developed a hybrid design that employs the same analog input and output stages, but uses an arduino to handle the analysis and timing stages of the circuit for improved range and stability. 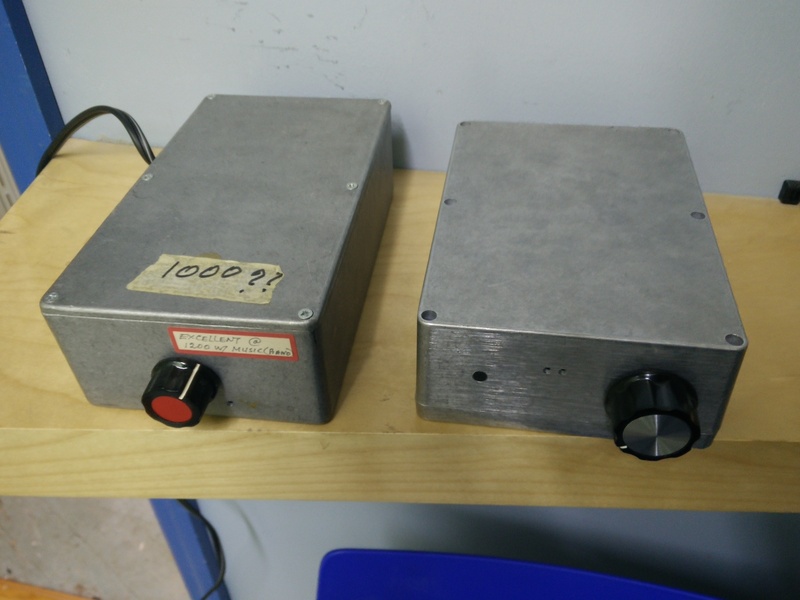 Like Tsai’s originals, this version has it’s power supply built in, 1/4″ jacks for the microphone input (which bypasses the built-in microphone) and strobe output, two trimpots for fine adjustment and a large knob for microphone sensitivity. 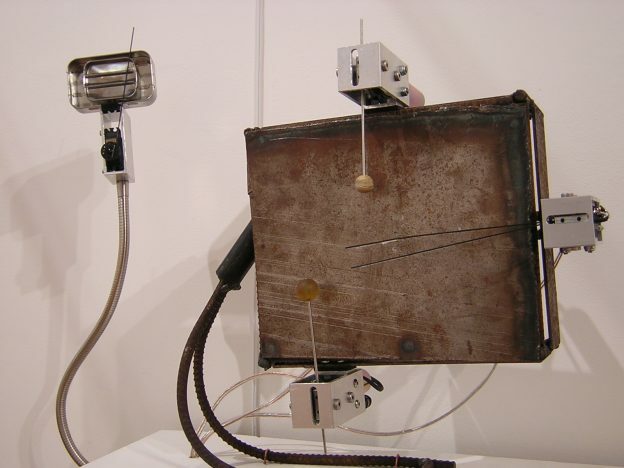 This entry was posted in Uncategorized and tagged analog, arduino, firmware, hardware, microphone, pcb, sculpture on May-2016 by bilbowen. Drums on debut EP from the Zolephants. 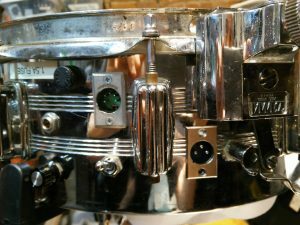 This entry was posted in Uncategorized and tagged percussion on Apr-2016 by bilbowen. A track on which I played percussion with Nettle last February has been released on this new Rebetika compliation from Soundeyet. This entry was posted in Uncategorized and tagged percussion on Oct-2012 by bilbowen. A suite of free audio software that I designed and developed with DJ/Rupture and Rosten Woo dedicated to exploring non-western & poetic notions of sound in interaction with alternative interfaces. This video shows them in action. For more info and free download, is.gd/sufiplugins We are working on porting these devices to the VST plugin format and will be setting to work on a piece of Sufi Hardware in the near future. 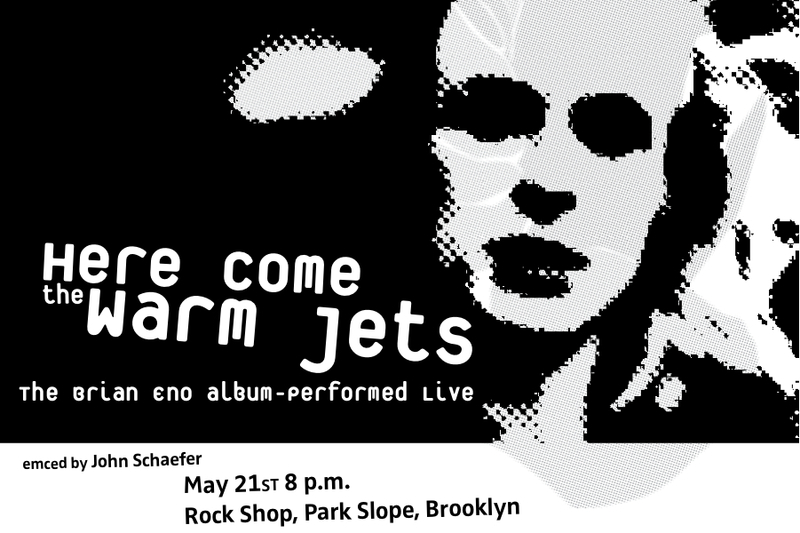 I’ll be playing the drums for this, a live through-playing of Brian Eno’s brilliant 1974 album Here Come the Warm Jets. This entry was posted in Uncategorized on Oct-2011 by bilbowen. This entry was posted in Uncategorized on Oct-2010 by bilbowen. 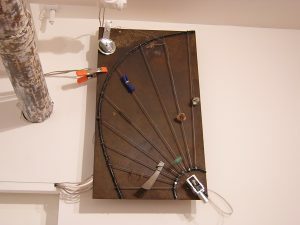 Developed in collaboration with Olafur Elaisson and his studio in Berlin and exhibited at Tanya Bonakdar Gallery, this machine ‘listens’ to two electro-magnetic transducers on either side of a divided string and uses these pitches to drive two phase-locked sine wave oscillators (transposed 12 octaves lower) which regulate the AC voltage across the voice coil actuators pushing and pulling the intersecting arms holding the pen on an X and Y axis while a disc holding the paper slowly rotates and travels from one side of the table to the other. The ratios generated by the divided string allow the user to extrude Lissajous curves in a continuous spiral. In addition to the paper drawing, all drawings are recorded to hard disk and can be played back later, for multiple editions of a single drawing. This video is of the machine in the installation (well, ‘video mode’ on my handheld point-and-shoot camera). 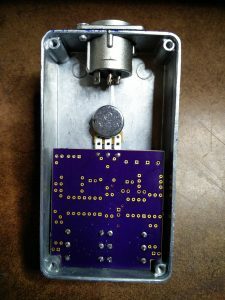 This entry was posted in Uncategorized and tagged arduino, firmware, hardware, max-msp, pcb, puredata, robotics, software on Oct-2008 by bilbowen. A screenshot of the mute and fader automation software I developed for James Murphy’s Oram console (with a master section by Purple Audio) at DFA’s Plantain Recording House. This stand-alone Automation sequencer gets it’s sample-accurate sync information from Logic, Pro Tools, or any supported audio sequencer via ReWire. The sample count provided by ReWire is downsampled (according to the sample rate of the session) to 30 frames per second and a serial count of these integers provides the timeline on which events are recorded. This sequencer features both a static mode for simple snapshot recall and a dynamic mix mode with read, write, touch, and latch modes for fully automated analog mixing. Recent additions include graphical ‘pencil’ editing and a subgroup/master fader automation trimming. 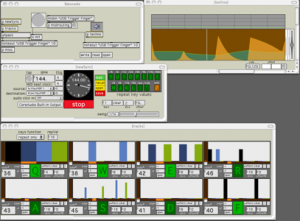 Batucada is a pattern-based percussion sequencer built in MaxMSP and designed for live performance using a PowerBook. Controlled mostly by the ‘qwerty’ keyboard, Batucada allows the performer to improvise with patterns and ‘grow’ new ones live. It features variable-division repeats with the right hand, while the left hand selects the instruments to which the repeats will be applied. 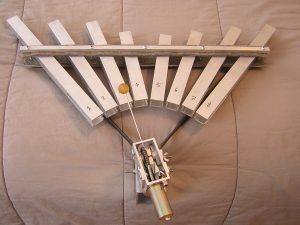 Mute and Solo, like repeat are applied with the right hand to instruments selected with the left. Signal-based timeline warping (‘swing’) and offset can be handled either globally or locally, allowing different instruments to have their own swing and/or offset settings. Batucada can run as either a master sync device or can be slaved to incoming MIDI time code, MIDI beat clock, ReWire, or a traditional audio click track. In addition to MIDI note commands, Batucada can send 7 and 14-bit MIDI LFO information as well as 2 +/-5V control voltages for interfacing with analog synthesizers and processors. Within the software, I’ve implemented ‘VeLFOs’ (7-bit scalable triangle/sine/square wave LFOs) synced to each track (with individual offsets) for governing velocity, but this data can be mapped to anything from filter cutoff to event execution probability. Timing is coupled to the sample rate by the scaling of signals and is only subjected to Max’s scheduler when turned into MIDI note messages at the output. Development of the above pictured MSP version is frozen and I am currently working on a new build of Batucada in Pd utilizing Pd’s < sample-accurate event scheduling and driven by a clock which will also implement Euclidean GCD/LCM-based counters for creating rhythmically compelling math-beats. Most all performance functionality that inspired development of Batucada has been eclipsed in recent versions of Live.